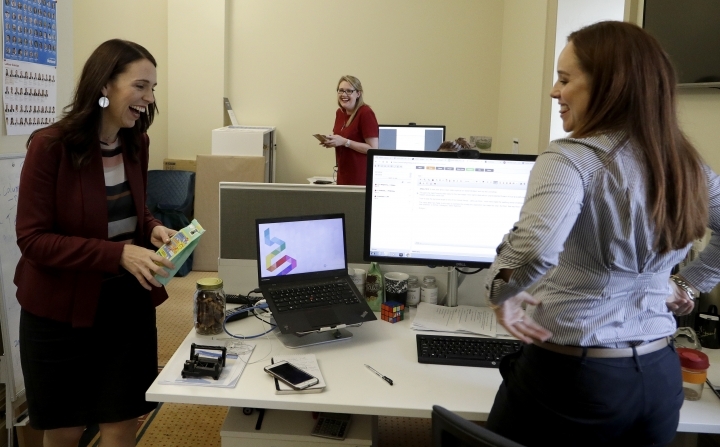 WELLINGTON, New Zealand — New Zealand's Prime Minister Jacinda Ardern says that six months after giving birth, she's looking forward to spending more time with her daughter Neve over the Christmas break and thanking everybody who's helped her juggle responsibilities. 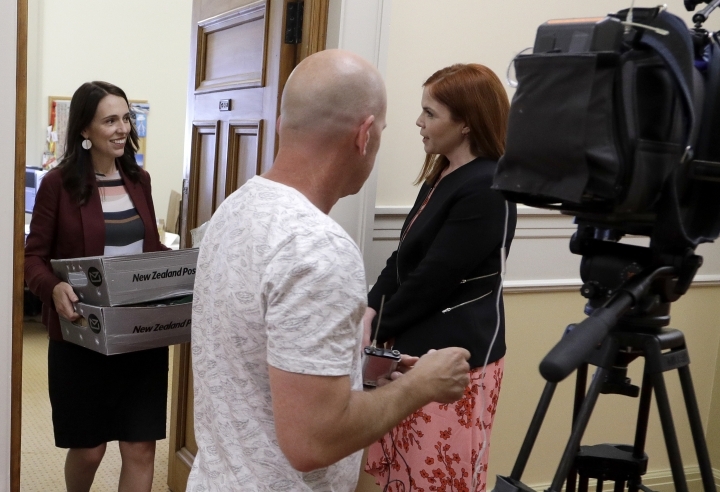 Ardern spoke to The Associated Press on Monday as she carried around a box to hand-deliver holiday treats of coffee and peanut brittle to reporters at Parliament. She was keeping alive a tradition in New Zealand that would be hard to imagine in some countries due to the sometimes acrimonious relationships between journalists and politicians. Ardern is just the second world leader in modern times to give birth while in office. She said she's had lots of feedback about being a role model. "But my focus needs to be on furthering the agenda, and the work program, and all of the big challenges we were elected to address," she said. "For me, the added bonus is that I get to be a mom as well." Ardern's partner Clarke Gayford is the primary caregiver for Neve. He has recently returned to work as a presenter on a television show about fishing. 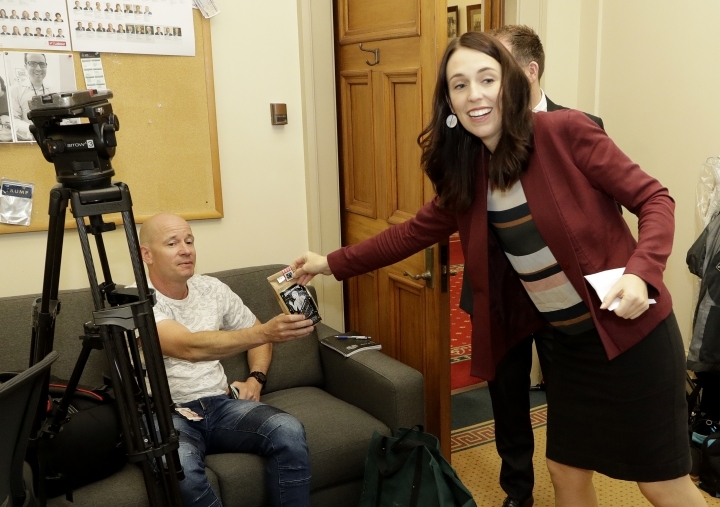 "Filming for him is a sporadic thing," Ardern said. "So when he's away, we work around that. But primarily his number one job, still, is dad." 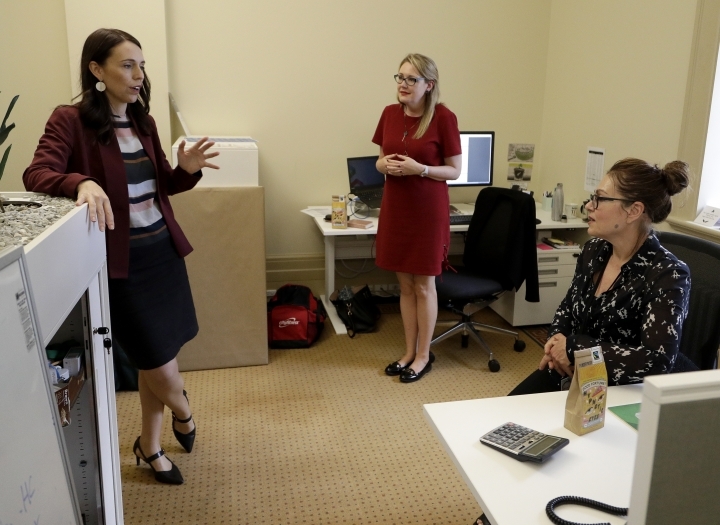 Several lawmakers in New Zealand have also recently given birth, and Ardern said she gave plenty of credit to Parliament Speaker Trevor Mallard for making the Parliament a more baby-friendly place. "He's really tried to set the tone," she said. "He's tried to create a flexible environment." She said she has little planned for the holiday period other than spending time with her family, and so will be letting Neve set the routine. She said Neve is growing fast. "She can sit for a few seconds before she topples over. So she's partially sitting up. She's 6 months this week, it's moved really quickly. But it's a lovely stage," Ardern said. "I'll be spending a lot of time with her over the holidays and that's the thing I'm looking forward to the most." New Zealand's parliament is in its final sitting week for 2018 and resumes in February.